Each year, when students are jetting off to Hawaii or just chilling at home for their annual and much-needed spring break, 50-odd students and staff members pile into buses and make the eight-hour drive down to the iconic Southern California scrubland of Joshua Tree for the annual Desert Trip, started in 1985 by Carmel High School science teacher Richard Fletcher. Designed as a response to this universal question, the Desert Trip is an opportunity for students and staff to work together on developing communication and relationship skills that aren’t taught in an official capacity anywhere else at CHS. The trip’s progenitor sees these skills as not just helpful, but paramount to leading a meaningful and happy life. The trip had quite a humble start. 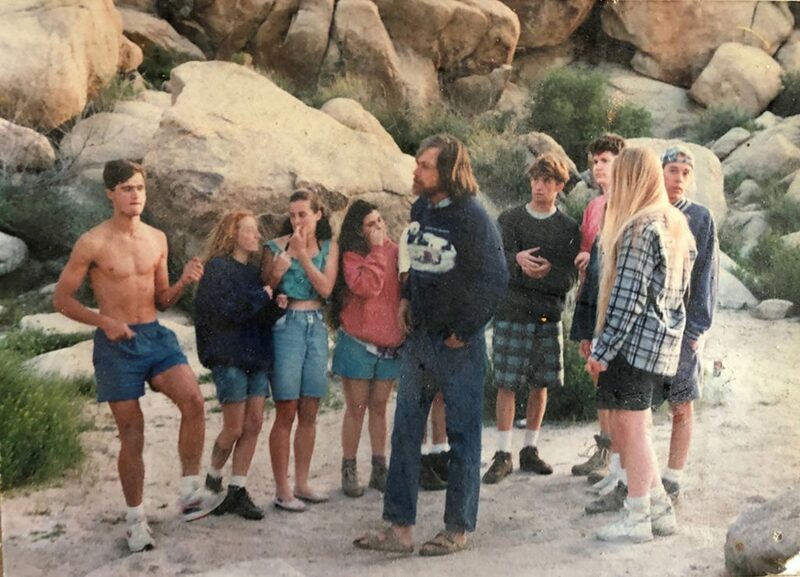 In its first year Fletcher and a handful of students went down to the desert with the biology teacher to help him with an environmental project related to catching and releasing desert mice. With over 200 traps to check daily, he needed all the help he could get and arranged a group of students to come and help him. Already incorporating communication and relationship-building exercises into his classes as the time, Fletcher started incorporating those activities on a much larger scale during these annual trips, and it slowly became an annual tradition with more and more students signing up. 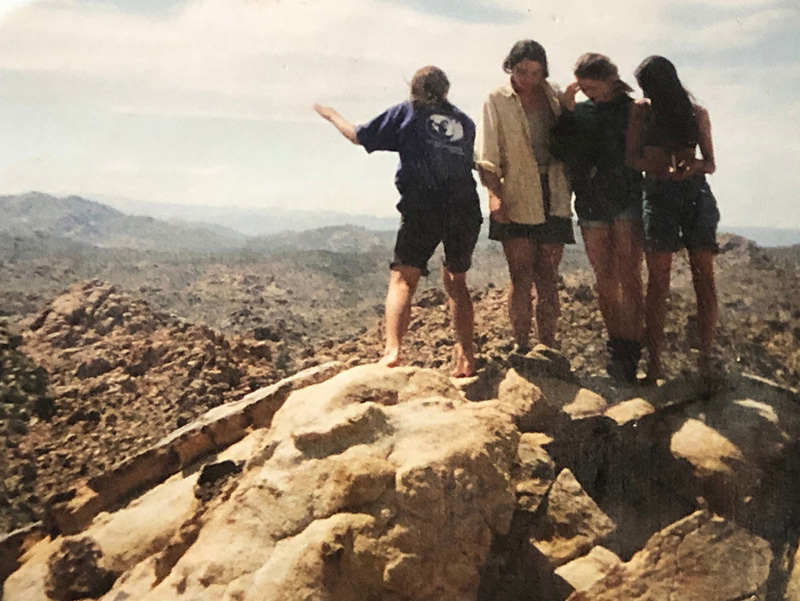 After its small beginning, the Desert Trip became a full outdoor education Regional Occupational Program class with a curriculum that was covered over the week-long trip. The Desert Trip was actually a large money-maker for the district, according to current teacher Brian Granbery, because of the way that ROP funding laws were set up in California: By putting on the Desert Trip, the district received funding from the state that it could use to support other ROP programs at the high school. The trip had to be focused on classes and workshops on the natural sciences and certain environmental professions, but the funding law changed in 2015 and the trip, freed from those educational constraints, metamorphosed once more, back towards Fletcher’s initial vision. The trip was led by Fletcher until his retirement in 2005, when the trip was taken over by Benjamin Pharer for a couple years until Granbery and science teacher Joe Mello started taking over in between 2007 and 2009. With the arrival of Maas-Baldwin at CHS in 2009, the trio of Granbery, Mello and Maas-Baldwin have been running the trip together ever since. Granbery is primarily responsible for the logistical details and planning of the trip, while Mello and Maas-Baldwin are primarily responsible for leading the workshops and activities over the course of the trip. 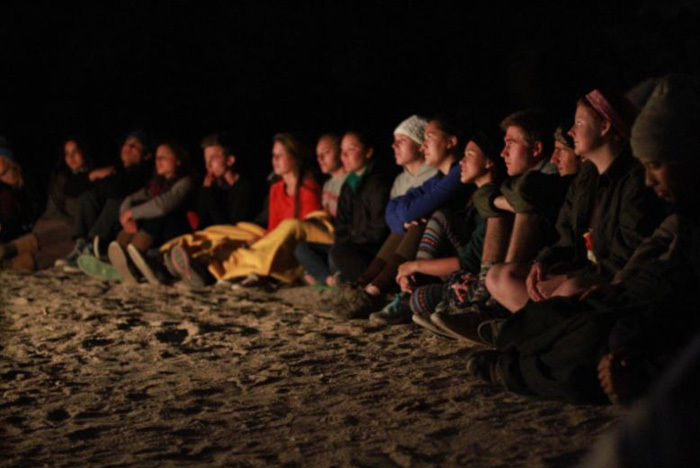 The average day on the Desert Trip begins with breakfast prepared by the food crew and student groups, followed by a daily hike or activity that takes up most of the morning and into the afternoon. Then there are workshops and classes in the afternoon followed by dinner, also prepared in part by student groups. Finally, there is an evening program with lectures and activities before bed. According to Maas-Baldwin, some of the most valuable conversations and relationships are built during the hikes and outdoor activities. The current trip leader and the rest of the staff define this idea as “perceived risk,” or creating an environment where discomfort is felt and released while in a totally safe and secure environment. He explains that this is created both in physical activities such as bouldering or hiking, as well as in interpersonal situations when having difficult or revealing conversations. One of the core elements of the trip is the idea of a contract or goal that students have the opportunity to make at the beginning of the trip. Richard Fletcher calls it the “rock in your backpack” that you’re trying to get out, or something about yourself that you’re trying to improve. One of the focuses of the trip is enabling students to solve their own contract and work towards it while learning the tools to do so. Fletcher explains that he often saw his students struggling through the very same issues alone, noting that this activity we call life doesn’t come with any rulebook or instruction manual. The Desert Trip was the teacher’s attempt to bridge that divide.